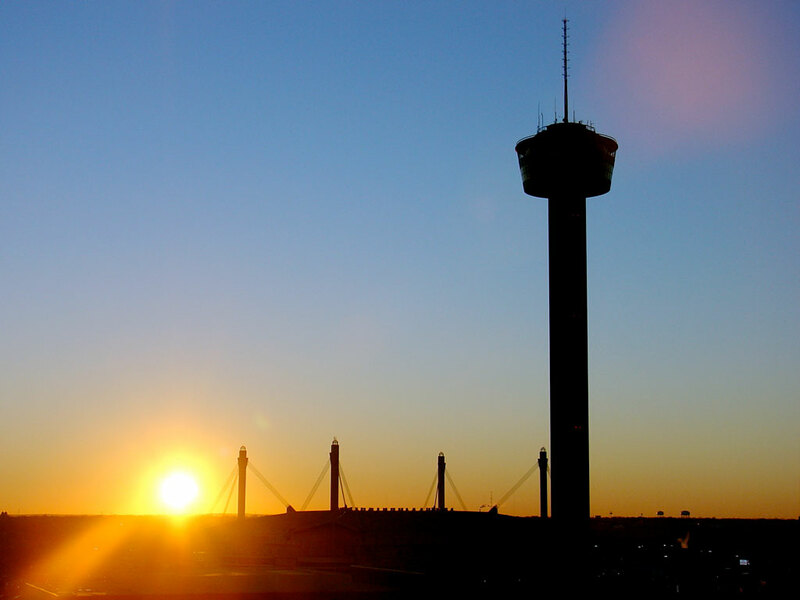 89.70 KJMA Guadalupe Radio Netw. 580 XEMU La Rancherita del Aire Mexico, Piedras Negras, Coah. 1380 KWMF Guadalupe Radio Netw. 1570 XERF La Poderosa Mexico, Cd. Acuña, Coah. 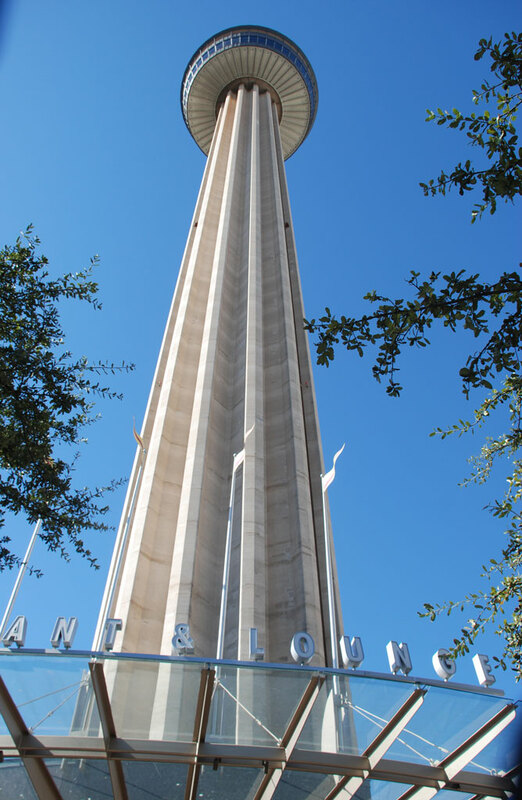 The Tower of the Americas is a 750-foot (229 m) observation tower on the southeastern fringe of Downtown San Antonio. 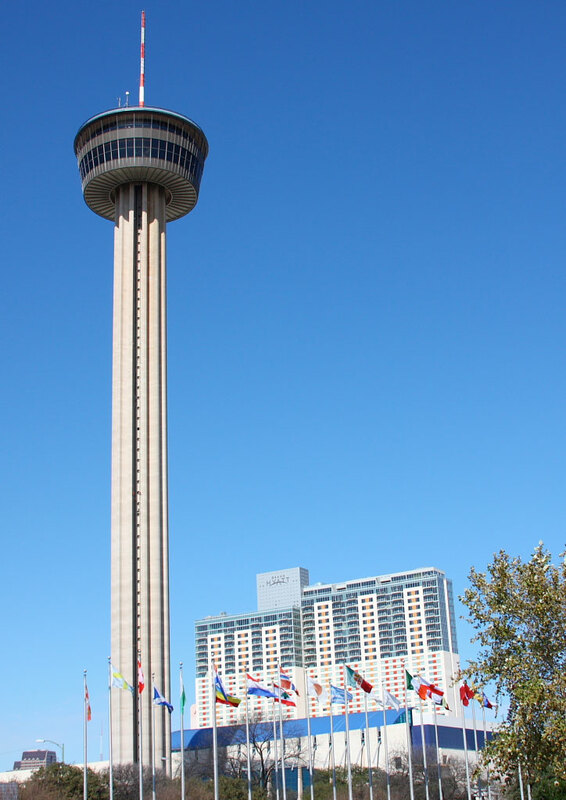 Since 1970 the roof has hosted a 30 meter tall tapered steel mast, used as support for three FM antennas: 101.9 KQXT (then known as KCOR-FM), 102.7 KJXK (then KTFM), and 104.5 KZEP (then KITE-FM). 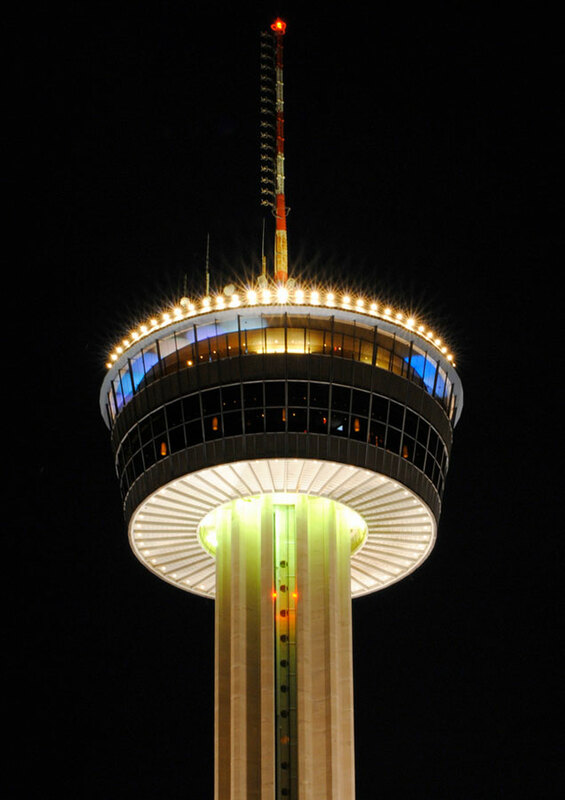 In 2007, the three individual antennas were replaced by a 16-Bay master antenna that radiates all three FM signals including the HD signal for KQXT.